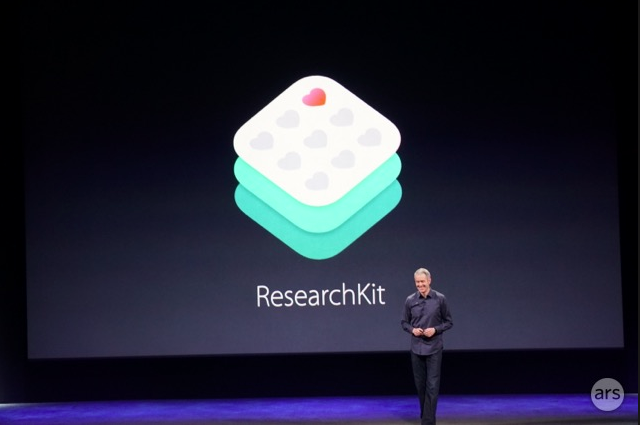 ResearchKit can use data from your phone for medical research. One of the non-Apple-Watch things that Apple talked about onstage at its product event last month was ResearchKit, a new framework that (with explicit permission from the user) could turn your phone into an always-on, always-with-you tool for collecting health data. As promised, Apple has now released the framework, which is available not just to iOS developers but also as an open source project on GitHub. The framework includes three basic building blocks for developers to use: the first, called Participant Consent, allows you to explain the parameters of your study, what data you're collecting, and what you'll be doing with that data. Surveys are what they sound like—customizable surveys you can use to ask subjects questions. And Active Task modules ask subjects to perform certain tasks (walking, speaking, and so on) while being guided by the app. Apple provides a few basic Active Tasks, outlined below. Developers can add their own tasks as needed. There are a few things the ResearchKit framework doesn't provide. The first is "background sensor data collection," or, in other words, the ability to gather data from your phone's sensors continuously. The HealthKit and CoreMotion APIs already provide for this, though, and since ResearchKit can pull data from the Health app, developers do have an option for gathering that kind of information. Developers must also secure the communications between their apps and their servers and comply with all applicable laws governing the data they're collecting. And ResearchKit doesn't allow for scheduled surveys or active tasks, meaning that apps won't be able to remind users to perform certain activities at set intervals without the user remembering to do so. We'll be taking a closer look at ResearchKit's capabilities in the coming days. OrangeCreamArs Legatus Legionis The ResearchKit apps I have installed have scheduled reminders. You can't use ResearchKit to do so, but there is EventKit instead.